Last night, the Planning & Zoning Commission met to hear applications for 2 medical marijuana dispensaries in Westport. They heard a lot more, from the very loud crowd. Things got so bad — despite chair Paul Lebowitz and member Chip Stephens’ pleas for civility — that a 15-minute recess was called. When the meeting resumed, a Westport police officer stood next to the podium. This is not about marijuana — medical or recreational. This is not about right or wrong federal, state or local laws. And this is not about one generation or political party. This is about the total loss of civility, of crowd bullying and very bad behavior in the public process. Kings Highway Elementary School holds a “kindness week.” Adults in town have not modeled that behavior recently. The past 3 weeks have seen 3 instances of police being called to public hearings at Town Hall because of perceived or actual threats, or physical altercations, during P & Z and Historic District Commission meetings. These are official hearings, held by volunteer elected residents. They dedicate endless hours because they care about our town. There is no compensation, beyond an occasional “thank you.” Meetings start at 7 p.m., and often last until 11 or midnight. They are run by Robert’s Rules of Order, and basic rules of civil meetings. These rules allow elected officials to discuss ideas with each other, presenters and experts — and most importantly, to receive public input and opinion. The rules are simple. A chair runs the meeting, recognizes speakers, and manages the time of many different submissions. Audience members are invited to speak when recognized. They are supposed to address the commission on the submission at hand at a podium, after giving their name and address. When not speaking, all participants — elected officials and and the public — are expected to be silent. They should respect others’ views and words. There should be no clapping, booing, berating or shaming others. This is called civility. Civility at meetings allows a fair hearing, where all can express their views without fear of retribution or bullying. At last night’s P & Z meeting there was utter chaos. Speakers incited the public to disorder and shouting. There was public shaming of certain speakers, causing others to leave before their turn to speak. When the meeting became too disruptive, a break was taken. At that point there was shouting, with threats uttered at the elected officials. A few people actually grabbed a commissioner. The police were called. A very professional officer reopened the meeting with a straight and strong message: This is a public meeting. You are all expected to be civil, and allow everyone to be heard. Please obey the rules of the meeting. If there are any further physical altercations or threats, the offender would leave with me. This is not how a well-educated, well-heeled, politically astute and respected town is supposed to act. This is not the way to participate in the open and free political process. I hope that civility and respect return to Westport soon. Our police have more important matters to attend to. Meanwhile, the list of those willing to serve in elected office continues to shrink. This entry was posted in Local politics, Westport life and tagged Planning & Zoning Commission, public meeting disorder, Westport medical marijuana dispensaries. Bookmark the permalink. Great note Dan, divisiveness at the federal govt level has sadly trickled to the community level. Its crazy but todays common take is often that if a person is on the opposite political party, everything they say or think must be wrong. We have lost leadership and partnership on many levels. Look at how the awesome group of teens at Staples responded and worked together following the threat situation. Maybe we should kick out all the adults who think they know it all, and let our responsible and educated teens take over and work together and remind adults how things can get done in groups. Well said – totally agree. In 12 years of elected office in Westport (Board of Finance, Board of Selectmen), I have never witnessed a lack of civility. Unfortunately, times have changed. While it is perfectly appropriate to be passionate about what we’re concerned about, we cannot allow ourselves to be influenced by the national acceptance of bullying and intimidation. There is no “national acceptence of bullying and intimmidation” – by either party – and I’m quite sure our mostly Democrat population in Town would bristle at that suggestion that this behavior has become acceptable among Westport residents. Perhaps the recent “let’s march in protest” fervor has led the public to misunderstand the purpose of these P&Z meetings that are open to public input – they are NOT opportunities to engage in disruptive protest in order to accomplish a change, and as the Commissioners pointed out last night, that does nothing to sway the commission. Dan has done a great job explaining how these meetings are meant to function. Education is important, as well as a firm rejection of such behavior. Dan, Thank you for this report, It appears that the ‘entitled’ few are out of control. Poor Westport. That was insane last night. People in this town are too used to getting exactly what they want- and literally do not know how to deal with anything contrary to that.. entitlement? affluenza? just lack of respect? I don’t know. Enraging yet unsurprising in the current age. Thank you for the report. Having been at all of the P&Z meetings for the dispensary discussion I can tell you it definitely was disgraceful. In the morning, after every meeting, I felt compelled to sent a note of appreciation and apology to the board members for what they had to endure. The blame rests with each individual, don’t deflect by pointing fingers at anyone else. Even after the officer made his announcement people continued to act out, even resorting to fake coughing like little children. I must say that a good amount of folks on both sides of the issue did try to stop the nonsense, telling people to stop and quiet down. I believe it might have really gotten out of hand if it weren’t for these good people. So don’t paint with too broad a brush. A minority of vocal, disrespectful idiots shouldn’t outshine the majority of good people who were there to exercised their rights in a peaceful, respectful, dignified way. Within the last week wasn’t there a post and a ton of comments about kids in the audience acting disrespectful at a middle school play? And you wonder where they learn this stuff…. This is truly horrible. I am not aware of what laws exist covering conduct in public places, but I’m sure sure laws do exist. If yes, they should be posted at all public meetings. Handed out to people attending all public meetings. Posted on the town website. And in the foreseeable future, police presence at all public meetings seems appropriate. And when people break these laws they should be ejected from the meetings and prosecuted. Was this meeting filmed, Dan? This blog has regular postings of inconsiderate behavior all over town (entitled parking, reserving space at Compo with chairs/tents, rude behavior at school plays, etc.). Should we be surprised that this lack of civility now extends to town meetings? Great report, Dan. Never before has this country been so uncivil, so divided, such vitriol and violence becoming part of the arguments many times. Beating up one’s opponent only fuels the fires of civil unrest. We should be having passionate conversations to reach common ground but when things slide downward into insults, vulgar language or worse yet, physical threats and harm (not saying that happened in Westport), then we have to have a very good look at ourselves. 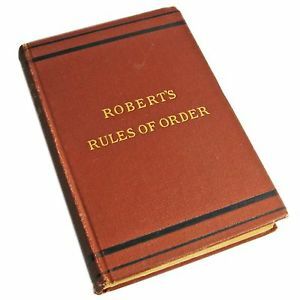 Love Robert’s Rules of Order myself. Yes, beginning of the Civil War, I’m presuming you’re speaking of. So, I should amend my post to recent decades. Seems we might be headed that way again on many fronts. I don’t find the climate of 1968 where we are right now. And not debating the issues here as to why. This is about Westport’s meeting. Not into debating on this blog. In addition, I’m talking about daily discourse in society – not the launch of wars. This society has run down into such every day rudeness and entitlement — not just in Westport, which I’m addressing– not the Vietnam War, nor the Civil War, not the Revolutionary War. Sorry, I thought you meant what you said, that “Never has this country been so uncivil, so divided…” Noting the words “never” and “country,” that statement is demonstrably untrue, and that is what I was responding to. You say you were talking about “daily discourse in society,” but your comment did not include that limitation. And for whatever it’s worth, I observe that the “daily discourse” of earlier periods was prelude to the two civil wars I cited and the substantial violent societal friction, if not near breakdown, of 50 years ago. You say you don’t see 1968 in today, and on that we agree. That was my point: for all the deterioration in civility we are experiencing, we have seen much worse in our history. That does not excuse or explain what we see now, nor make it less deserving of condemnation. It makes it only an historic comparison. Fine points, Iain and glad we have agreement on some of this. I hope Westport solves this issue peacefully. I happen to support medical use myself. Thank god there were no t-shirts. Who are these people? Assuming they’re all Westport Residents? Are people that upset over Medical Marijuana? Get with the program. Geez. Incivility in Westport is not a recent phenomenon. In 1993, I was elected to the ZBA (Zoning Board of Appeals). One of the first applications was submitted by Tauck Tours, which then owned the former Fairfield Furniture Building, which they had renovated magnificently. Tauck also owned the land behind the building, on which stood several pre-fabs. They applied to demolish the pre-fabs and build a 40,000 square foot building. Zoning regs allow a maximum of 10,000 SF. There was a bit of a ruckus at that meeting, too, but we turned down the application. I received several death threats and obscene phone calls, and there were a lot of nasty letters to the editor about what terrible people the ZBA members were, and how we didn’t appreciate all the wonderful things the Tauck Family had done for Westport. Eventually, we compromised on four 10,000 SF buildings, which really look very attractive. Shortly after they were built, Tauck sold the whole project and moved to Norwalk. But I’ll never forget the death threats — over a building! And we wonder why bullying is still a major issue in the public school system, in spite of the strong efforts over the past 15 years by the Bd of Ed to control it? Look no further than one’s home to see where bad behaviors are learned. I wish Westport CT would take the same steps as Los Gatos CA. Los Gatos just said NO to marijuana shops! I grew up in Los Gatos. While there may not be a dispensary in the town, marijuana can be ordered easily online and be delivered to your home in under an hour. Does that make it any better? Heard from friends it was a heck of a show! right here with the same intensity for generations. Those who were around in the early 80’s remember Arnie Kaye who decided to build and operate his video arcade. Woe unto our children who were going to be led astray and led down a certain path to crime and violence and eventually purgatory. The town meetings were held and attended by the unruly – not just by Arnie himself but irate parents whose precious children needed protection for such vile and hateful influences. Fast forward a year or so later and all these parents were scurrying to to drive and offload their offspring at Arnie’s Place. For all of his screwy antics he became the surrogate babysitter of Westport and you could never find a parent who had ever been against Arnie’s Place. The issues surrounding the approval of the “Y” move is also a case in point. Venomous attacks on public servants were mounted and some of those attacks continue to this day. Sanity will eventually rule out. It always does – whether at the local, state or national levels. We just have to be patient. However, no public servant needs to be harassed and Jim Marpe needs to step up surveillance and institute tough measures against any member of the public who violates another. It is time to take the risk and oust any member of the public who clearly exceeds public decorum. Right, it is always someone else’s fault; the devil made them do it. That’s right, the devil currently residing at 1600 Pennsylvania avenue. Thanks Matt Brannon, I’m trying to follow the thread as well and knew there would be those who can’t help but bring this dialogue to a political level. It’s very sad . About the meeting last night I watched on tv .First off I thought the P&Z board did a fantastic job ! Secondly I am saddened for Westport on many levels . It seemed like most people who spoke were genuinely concerned and some medically traumatized ,some would genuinely benefit from private therapy in a private setting . I feel like our P&Z board was used as a therapy session last night rather than a town meeting. I am in no way condoning rudeness or threats on any level. I think for a town who’s people go out of their way to display “ hate has no home here” signs on their front yard it would be a good idea to start practicing that very mantra . Westport deserves better than last nights public display. The topic of last nights medical marijuana dispensaries was out of control, we even had a lawyer stand up and threaten the P&Z on behalf of his client. My take away opinion is perhaps our board may want to reconsider weather the dispensary business in town is worth all the drama. ….and we wonder why the children at the recent Bedford Middle School performance were behaving badly. ……and we wonder where the children learn to be bullies…Town Hall by their adults. The commissioner’s job is nearly impossible already… to be heckled, bullied, and threatened is abusive… what I witnessed the last meeting should not be tolerated in the least. Teaching civics in our schools is badly needed. Interestingly, I just heard an interview on WNYC about why the Parkland students are so engaged and savvy about how legislation works. Apparently, when Bob Graham was governor of Florida (1979-87), he was concerned about the lack of civics education in the state’s public schools. He worked on bipartisan legislation to vastly increase civics education, with curriculums, increased funding for teachers (and teacher training), etc. Florida is apparently now the national model in — and perhaps the only state — teaching students to be engaged citizens. It was a fascinating discussion, about something I’d never heard of. So interesting, Dan. My first job out of college was working for Senator Bob Graham on the Hill! I read about this on Westport Now this morning. What a shame. Unfortunately, this is the kind of thing that happens when anonymous groups use fearmongering to prey on people’s biases. We’ve seen it done at a large scale at the national level and now these tactics are being used to drive a wedge between the people of Westport. Let’s hope these anonymous groups were well intentioned, and they are surprised and disturbed by the animosity and division they’ve helped create. That they will think twice before engaging in this type of activity again. Sadly, these efforts have done more to undermine our town’s reputation and basic civility than the presence of a dispensary ever would. Well said Dan .. My wife has sever health issues and has been on addictive opiate’s for years and was afraid of getting hooked . She’s had a license for Medical marijuana for several years now , and it has made a drastic improvement in the quality of her life ..
PS. You continue to provide a wonderful service to all of Westport. We should all make financial contributions to your site. I am not sure who attended this event – I did. Clapping is not a sign of a riotous crowd. Engagement by the populous is a healthy sign of a democracy. I suggest people focus on the substance and not the style of the debate (or lack there of). This matter is important. Westport needs to toughen up – probably not the first time we have heard this. Hi Michael, I was there and I spoke about the dispensary in my district. And I completely agree with you that engagement is crucially important. But there was a lot more than clapping going on in that room. If my 6, 4, 2, and 2 year-olds ever fake coughed on purpose to be disruptive while someone else was speaking, I would have removed them IMMEDIATELY. I also would have explained to them that the correct thing to do in that situation if they don’t like what the person is saying is to wait their turn and then speak about the issue themselves. (this isn’t directed at you by the way, I’m sure you’d do the same). The P&Z had to convey the same message to adults and even after that, the behavior didn’t stop. There was also one very brave speaker who was harrassed in the hallway on her way home. With respect to these behaviors, we must do better – not encourage the targets to toughen up. It’s not just Westport; it’s happening throughout our nation. Citizens seem to be increasingly lacking in critical thinking skills, and the ability to engage in intelligent, respectful, civil debate and discourse. I think it’s one of the greatest threats to our democracy. Dave, remember the “civil debates” we would have as kids….Dad would put us in the garage with boxing gloves and tell us we could come back in the house when we were finished. Dad was smart. That could solve a lot of problems! Thanks Dan. Maybe u could also do an article about how verbally abused the poor kids who work part time summer jobs down at the guard gate at compo beach get spoken to and treated. It is truly nothing short of disgusting. Some of them have even had their feet run over by angry “patrons” screaming how they pay their salaries as they blow through the entrance. When we first moved to Westport 44 yrs ago there was very little of this entitlement and anger. Why is it that these people who have so much can be so angry and can turn their anger on to kids just trying to make a little money working a summer job while off from college? I’m sure every one of those kids who has worked down there over the years could write a best seller on the topic of civility or lack thereof. It’s pretty frightening. To the commenter who asked if the meeting was videotaped, the answer is yes. Go to Westportct.gov, Planning and Zoning Department, and click on “Watch live or archived video stream of the P&Z Commission.” Then scroll down to Archived Town Meetings, P&Z Commission, April 5. We’re all in this together. The Douglas School kids in Florida have shown that. I hope they never lose their way. I hope they always remember that we must be civil and kind, no matter how fervently we may disagree. And kudos to Florida for introducing civics classes into their schools. Although I lived the first sixty years of my life in Westport, in many ways I hardly miss it at all. Now, in my tiny Connecticut town, so far disagreement still walks hand in hand with courtesy and respect. I’m just lucky, I guess. As a former 18 year resident of Westport, it saddens me to read what happened at the P&Z meeting. I now live in Weston, and was just the object of such cyber bullying over my opposition to a dog park that I am in the process of Instituting legal action for defamation to teach the offender a lesson. Our society is spiraling down hill, from Washington to local communities. Civility seems to be in short supply, replaced by rudeness, inconsideration and entitlement. It is unfortunate we don’t have a president we can point to as a role model — quite the opposite is true, as his behavior at his rallies amply demonstrate. I wasn’t so long ago that our leaders led by their civil example: George W. Bush and Barack Obama both comported themselves with decorum that made me proud to be an American even if I strongly disagreed with some of their policies. I cannot say that today. Hyper-partisanship has replaced cooperation , and ranting has replaced debate. When I was chairman of the Westport Democrats, I used to have weekly telephone calls with Mike Belaga, my Republican counterpart, to sort out issues. We came to agreement on some, and in some we didn’t. But we respected each other and our differences. When his wife, Julie, lost her bid for governor, Chris Dodd, who was then our U.S. senator, a Democrat, assisted Her in getting a position on the Export Import Bank. That is how we used to deal with each other in the political arena. I sorely miss those days. Once again, the devil made them do it. I lived in Westport for over 37 years. In the last few years, the type of behavior you decry became more frequent. If you want to see the source of the problem, look in the mirror. People do need to take responsibility for their own actions. Children learn from their parents, and when parents engage in bullying and rudeness, God help us with the next generation. It’s sad and disturbing. And yet, the president is partially to blame because he’s the “role model”….isn’t that what you said Mike? Joe Biden once asked a disabled man in a wheelchair to stand up….that means that anyone who says something stupid was obviously influenced to do so by role model Joe Biden…correct? Hillary Clinton once called half the people in the country deplorable….that means that anyone who calls another person deplorable, is doing so as influenced by role model Hillary Clinton…right? Of course they were “isolated mistakes” Russell, that’s how you are able forget them, and has to be the only reason I “remember” them. I also “remember” the “isolated mistake” Bill Clinton had with Monica Lewinski….of course, that was Trump and the “vast right wing conspiracy’s” fault as well. I wish I could say I am surprised, but alas, judging from what seems to be an increasing degree of ‘entitled me first’, rude behavior; the regularly appearing 06880 parking photos f ex, I am not. Maybe one of the obnoxious and disrespectful offenders at the meeting, arrived late blocked another car or two and one who had his/her license plate already posted on 06880. The rest of us are complicit in such behavior passed and permeating down to (their) children who many times lack common curtesy. We have inflicted this on ourselves and for this I am appalled. Fortunately, most of us are still treating others as we have a right to expect to be treated ourselves. Dan I really appreciate your article, and as usual very well written. My first exposure to Robert’s Rules was as a fraternity president back at Brown and have applied them to many other roles I have had since then. They work! They help encourage valuable civil discourse, diversity of views, and problem solving. While many on this thread are given to site examples of lack of national leadership, I have to say we have to start somewhere to turn the tide. Think global, act local. This is an incredible community with many strengths. Let’s pull ourselves up by our boot straps and get back to those! I wish Westporters, particularly those who think the over-the-top behavior the other night is appropriate, would read the Dr. Palmer’s remarks and advice about helping students deal with anger and violence published on 06880 last month. Public discourse is not about scoring points or smashing those with whom you disagree; it is about respectfully discussing issues and options to arrive at solutions benefiting all. Christine Meiers Schatz and others make the point well. FYI, videos of most town meetings including P&Z are available on the town website. That includes the one in question and the several previous meetings the commission held about medical marijuana clinics. Dan-I waited till most of the town resident bashing was ending to ask a question. For the record I think our neighbors and town residents are wonderful and sometimes issues get heated. Not the best for a meeting but the passion is there because they care about our town. My question is this—with such a major decision for Westport, why was the topic of medical marijuana dispencaries not vetted by the town in a formal process? P&Z seems to have decided for the town which seems wrong. I know this question might upset some friends on the P&Z but I find the town in a difficult position now. Could a referendum or vote by the town residents after careful debate made more sense? P&Z has made a huge decision for Westport. Of course, just my opinion. I was bullied during traumatic bereavement at a large international food-chain. I became mentally ill making many poor choices. I was then dismissed while my father was in intensive care just coming out of a coma. I still don’t know how to deal with it in a good way. I hope my dealing with it will turn constructive in time. Trying to read other people’s account and solutions on bullying.